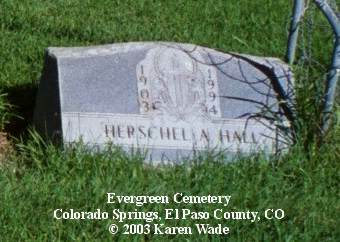 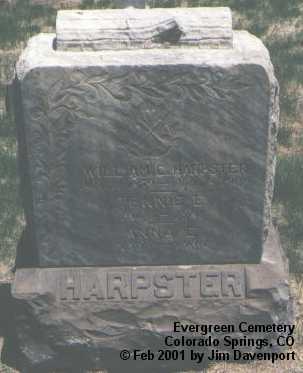 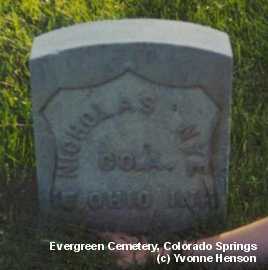 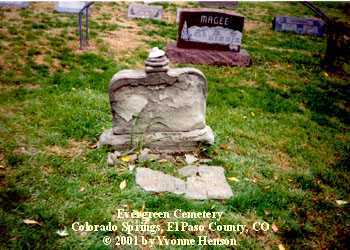 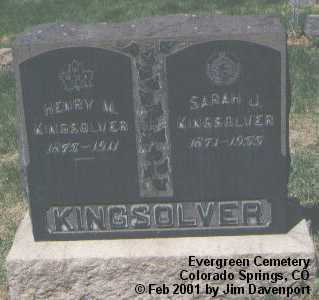 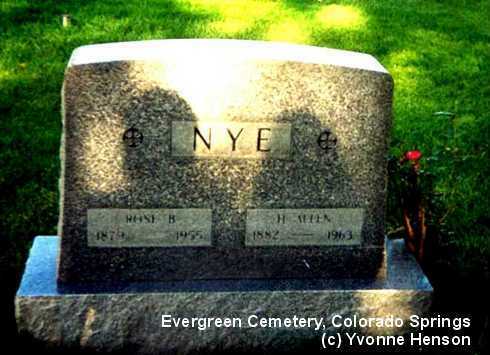 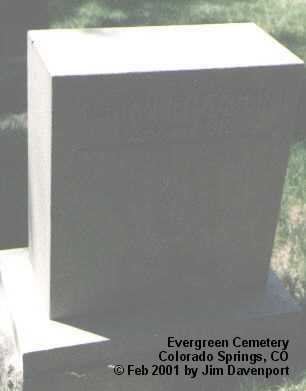 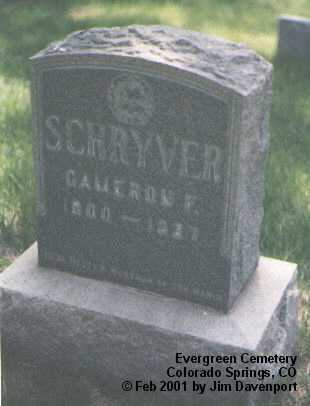 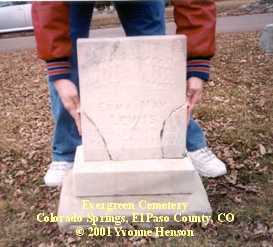 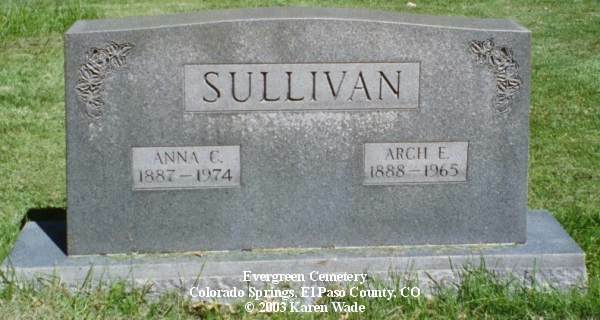 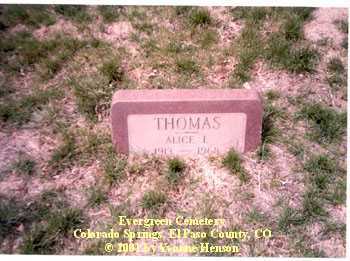 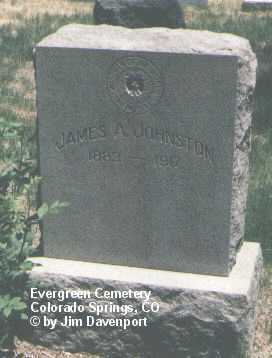 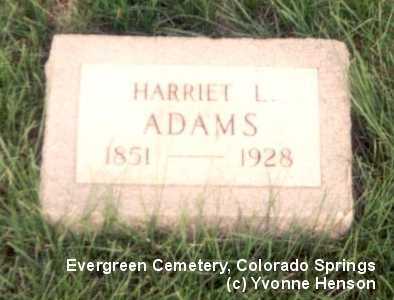 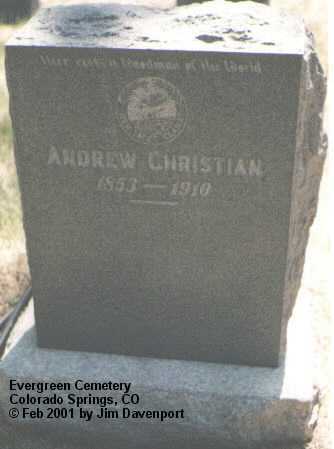 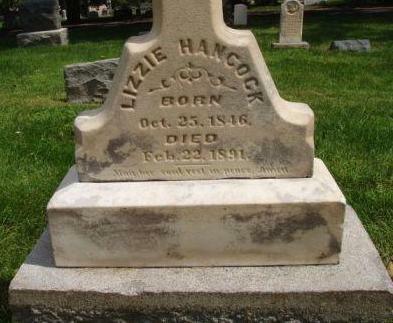 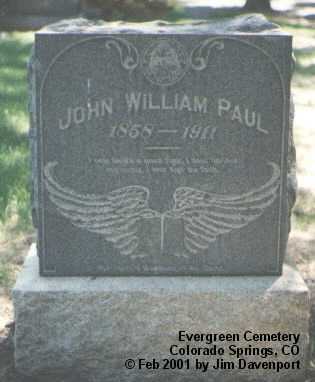 Evergreen Cemetery is Colorado Spring's oldest continuously operated cemetery established shortly after the town was founded in 1871, and has been owned and operated by the city since 1876 (Photo). 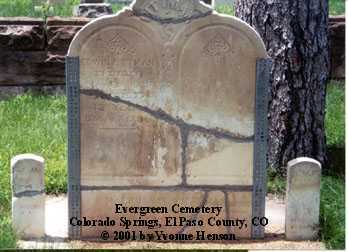 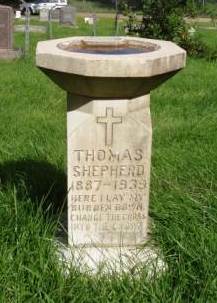 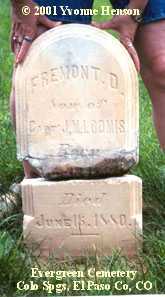 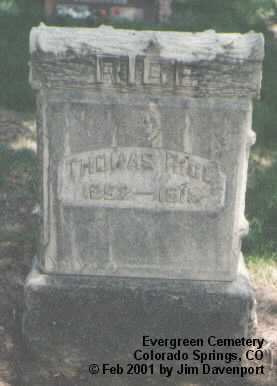 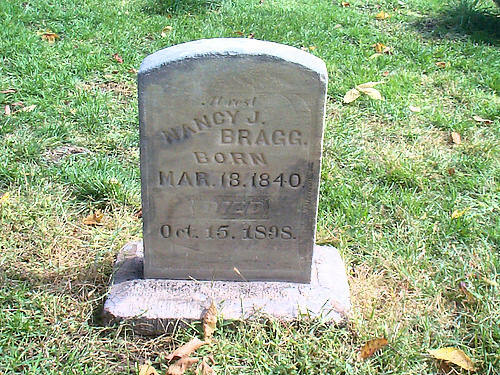 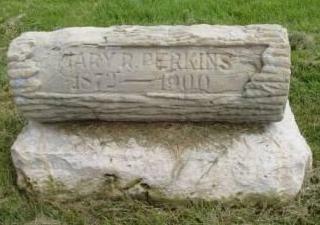 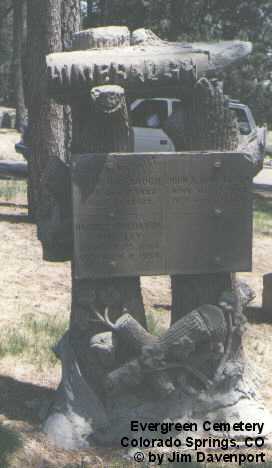 The first historical era to affect the cemetery was the Cripple Creek gold rush of the 1890s. 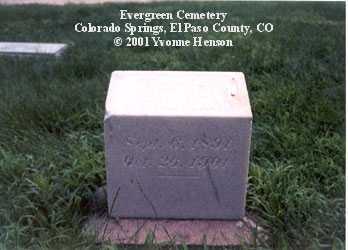 Great wealth from those who struck it rich evidenced itself in Evergreen by the first decade of the 1900s. 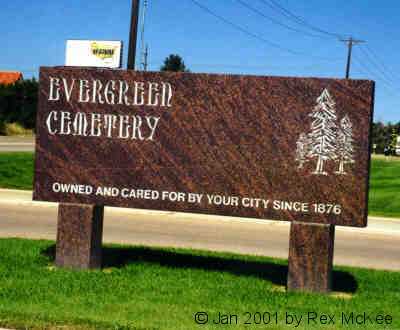 Lavish mausoleums and large, ornamental monuments to the cemetery, adorning the grounds and helping make Evergreen the outdoor museum is today. 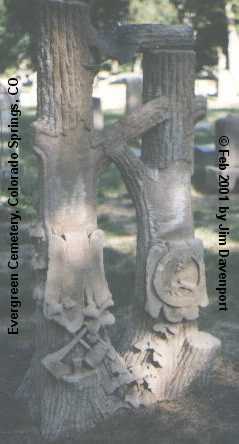 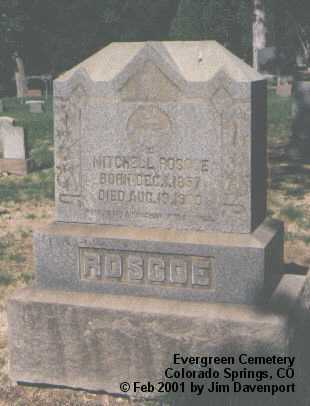 From the early to mid 1900s Evergreen Cemetery experienced a horticultural phenomenon: Hundreds of local residents decorated their loved one's graves with rose covered trellises. 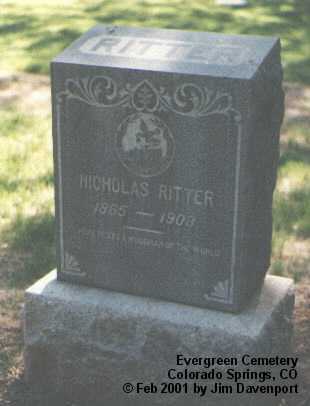 Earning the distinction by Ripley's Believe it or not as the "largest outdoor rose garden in the world." 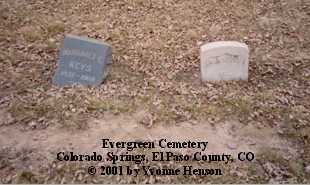 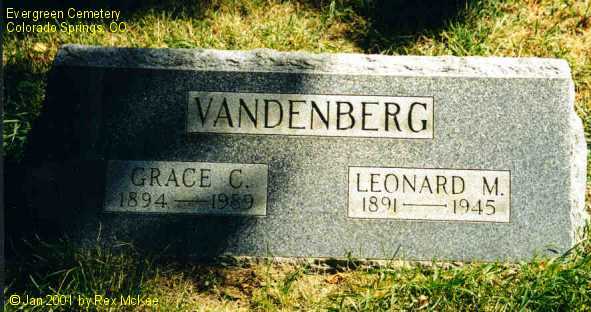 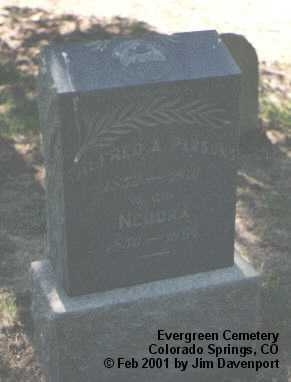 In 1993 Evergreen Cemetery was placed on the national Register of Historic Places, only the second cemetery in the state to receive such an honor. 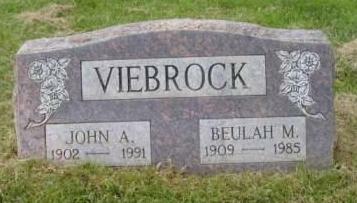 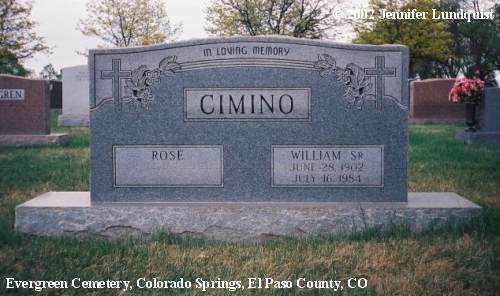 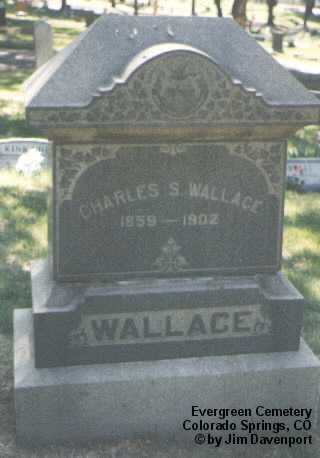 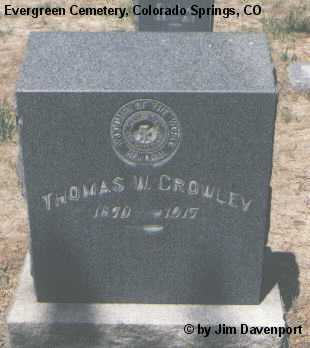 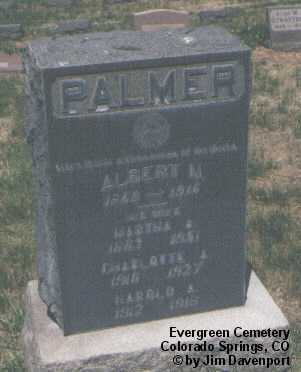 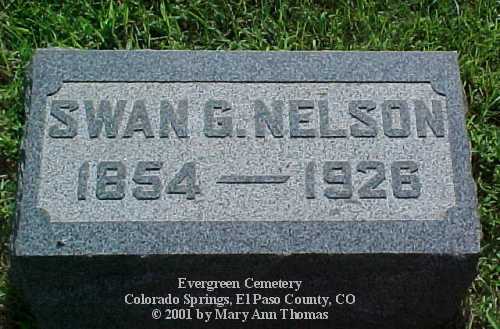 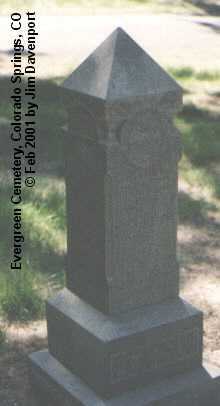 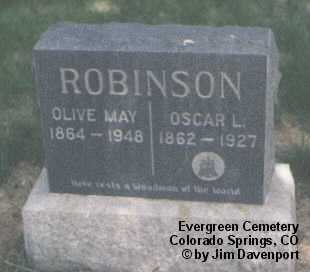 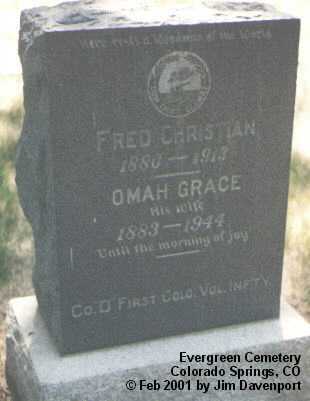 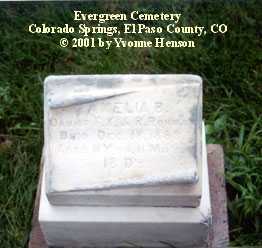 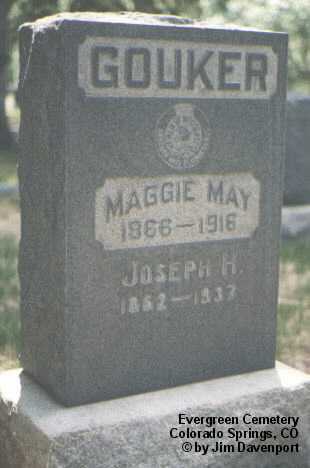 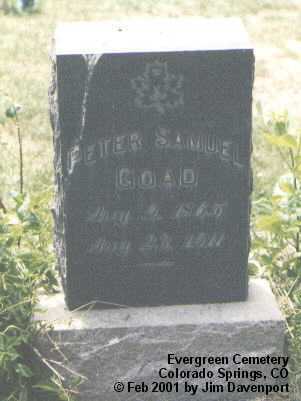 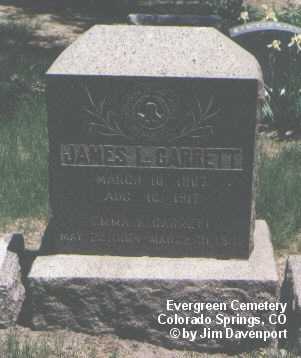 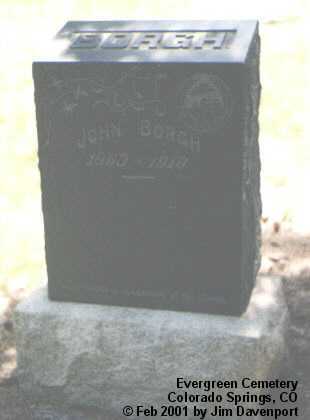 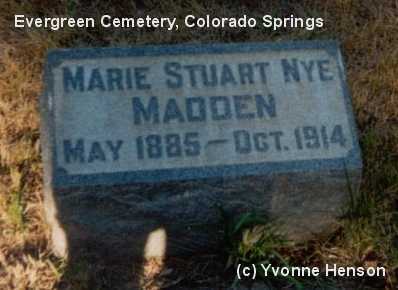 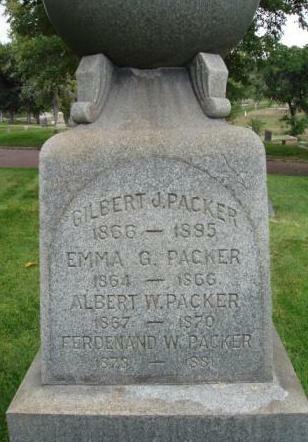 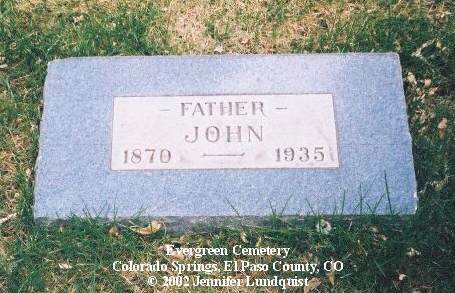 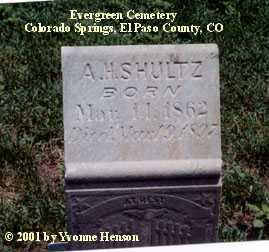 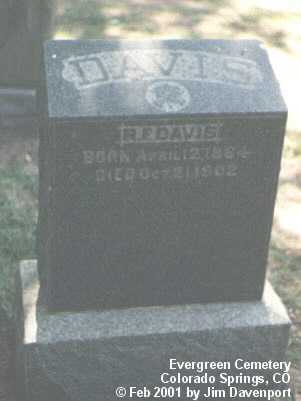 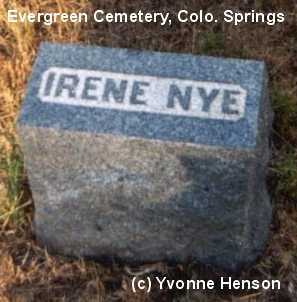 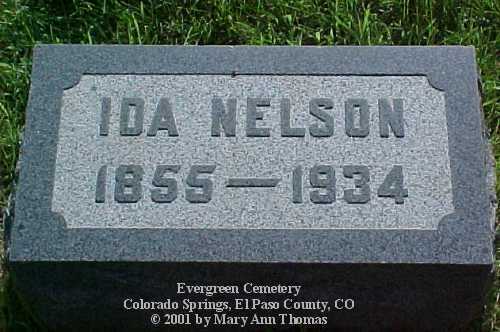 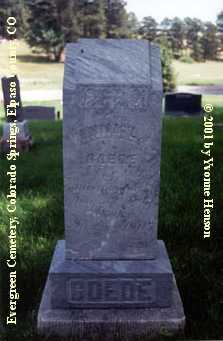 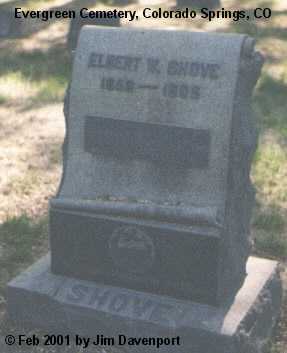 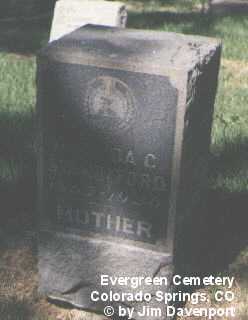 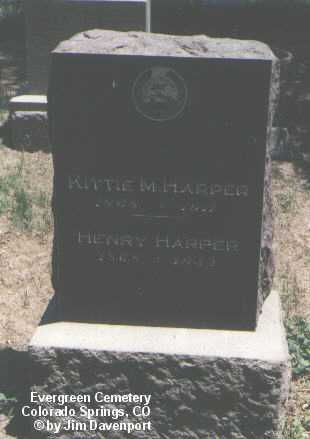 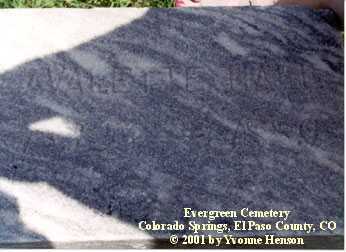 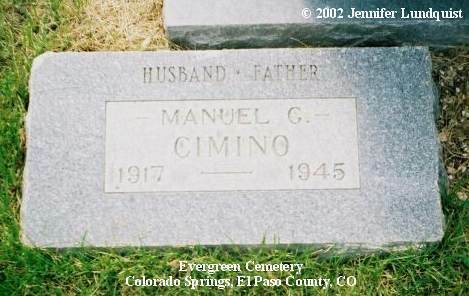 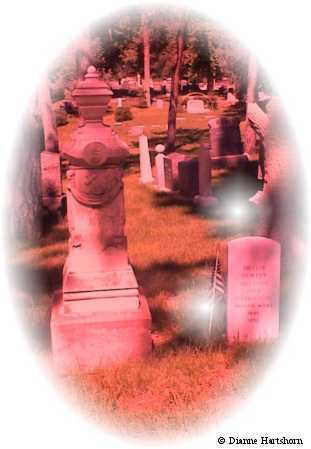 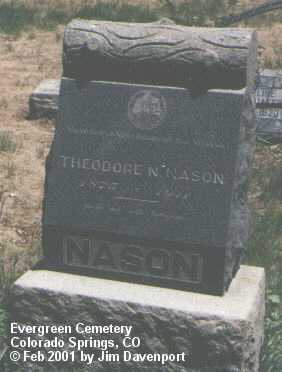 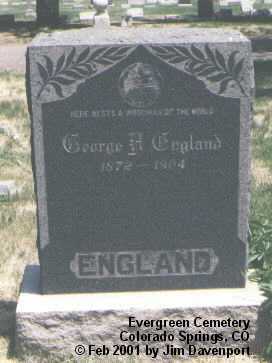 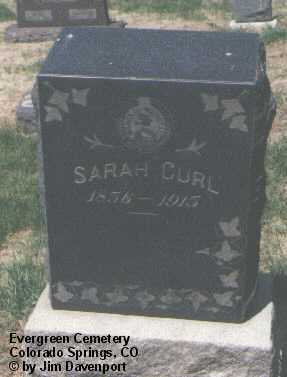 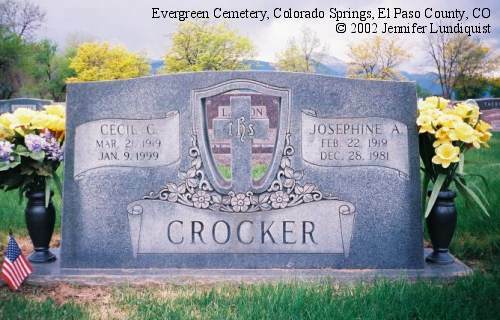 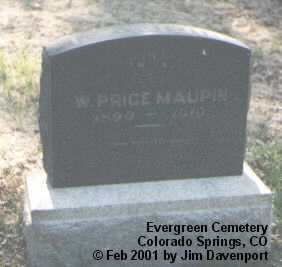 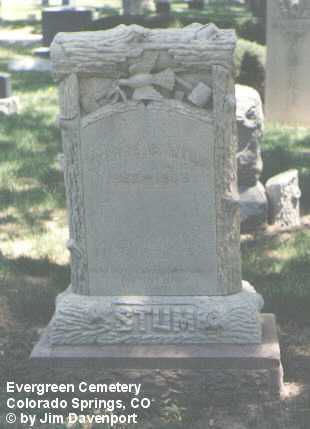 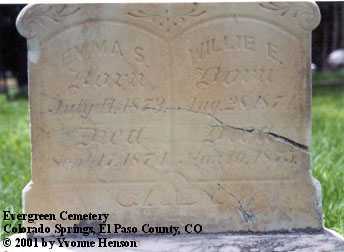 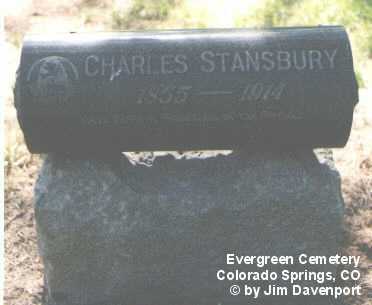 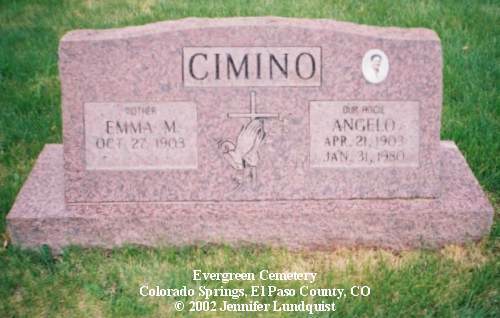 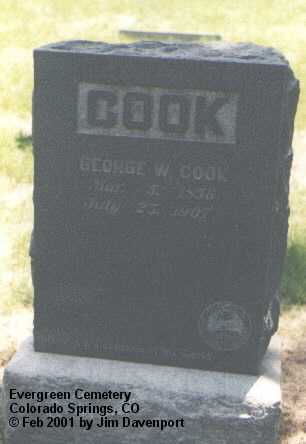 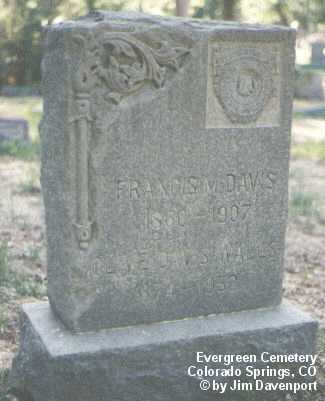 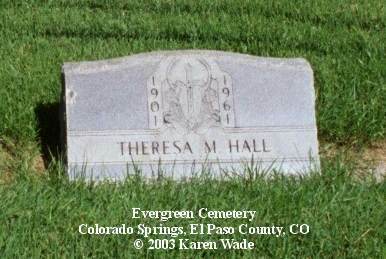 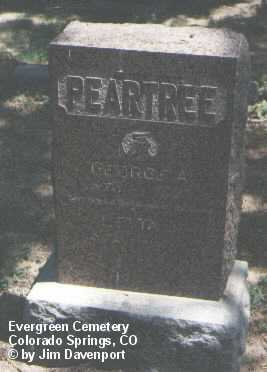 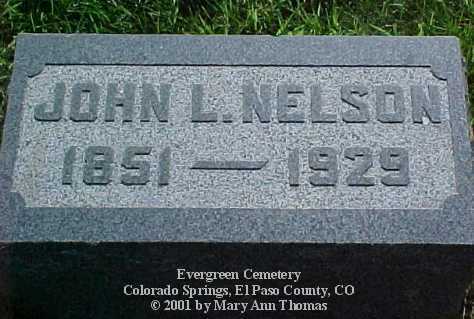 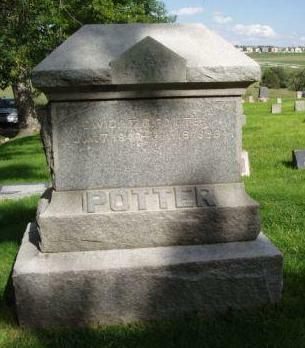 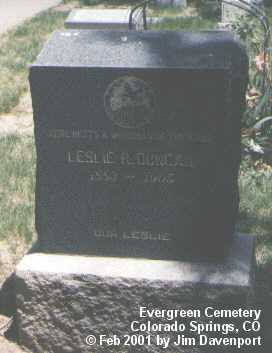 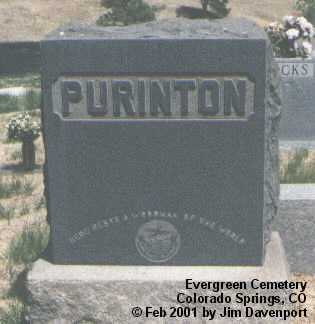 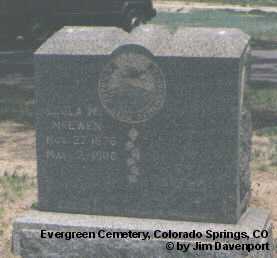 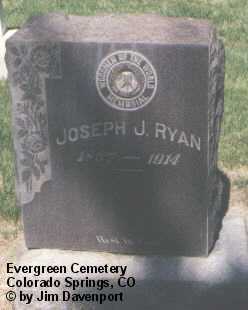 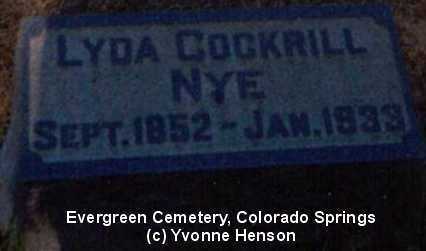 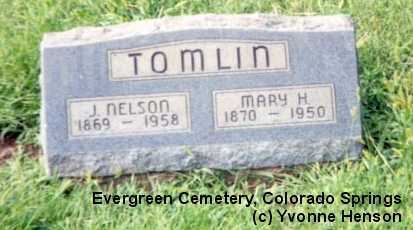 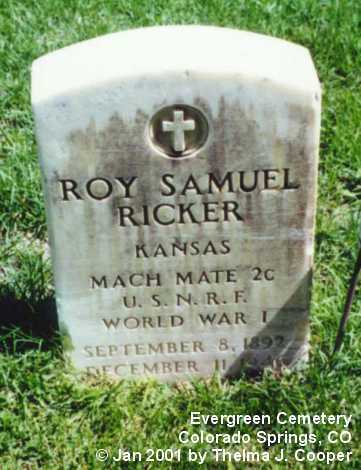 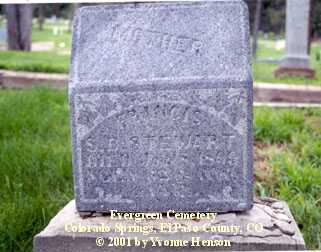 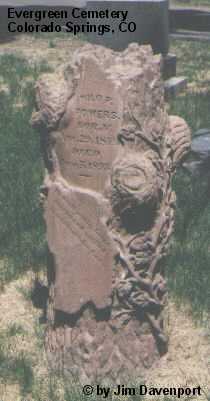 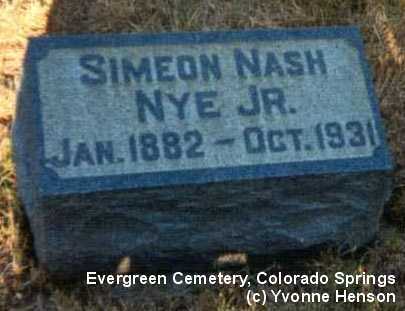 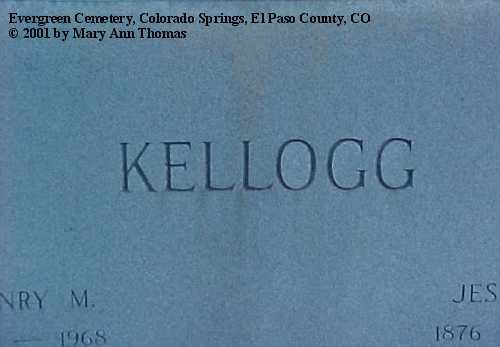 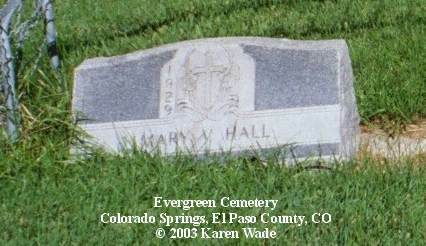 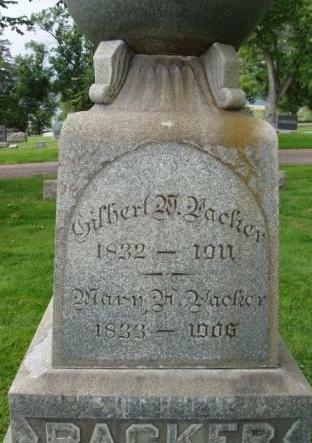 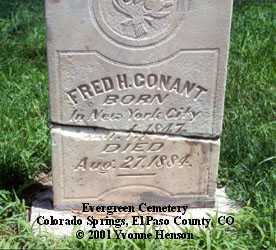 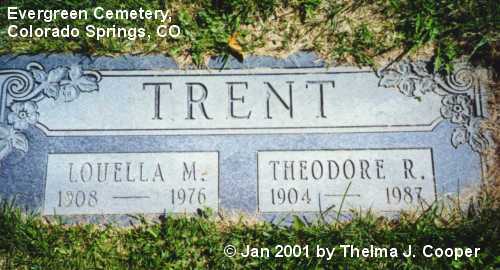 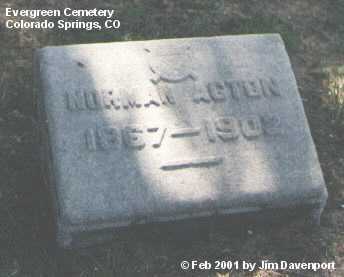 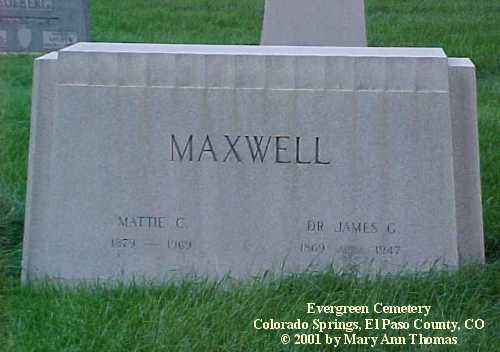 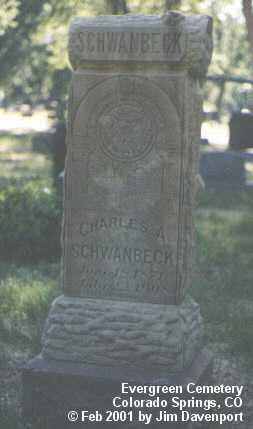 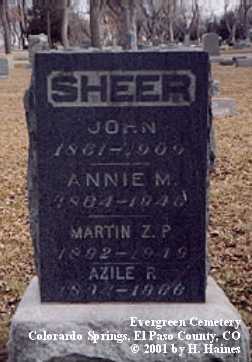 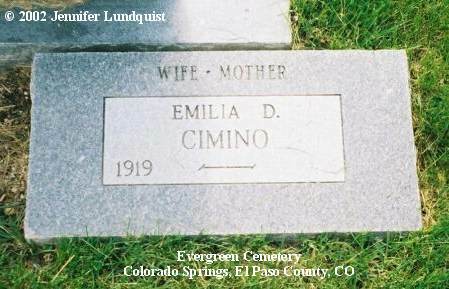 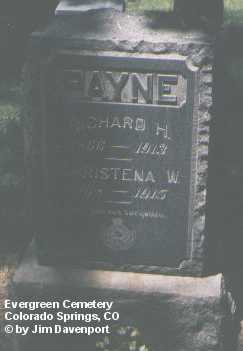 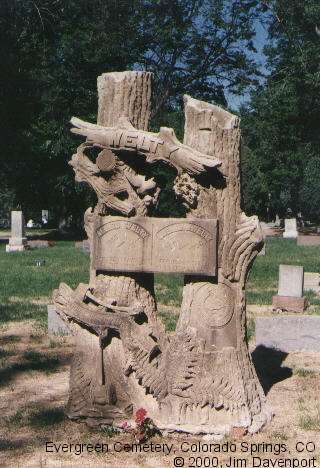 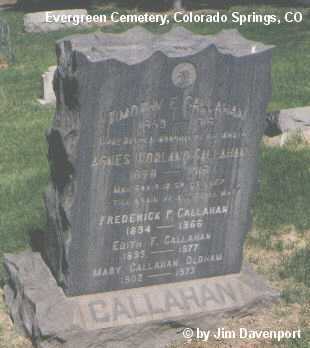 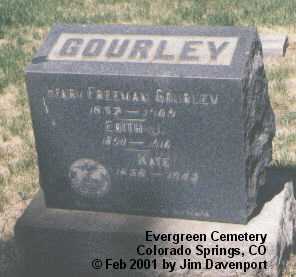 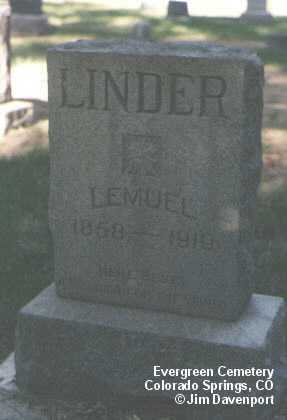 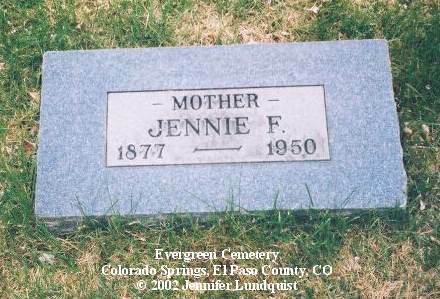 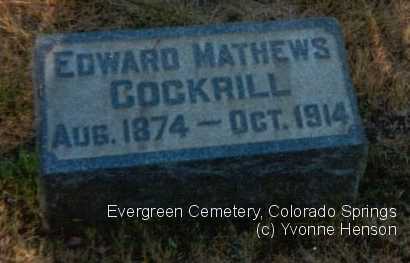 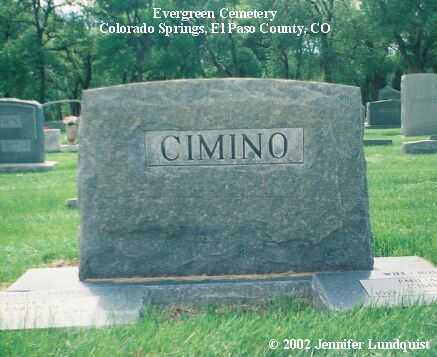 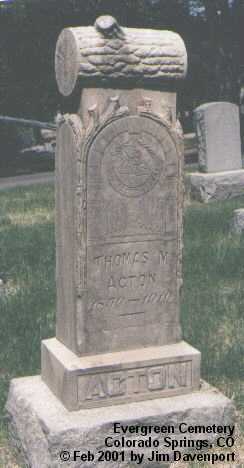 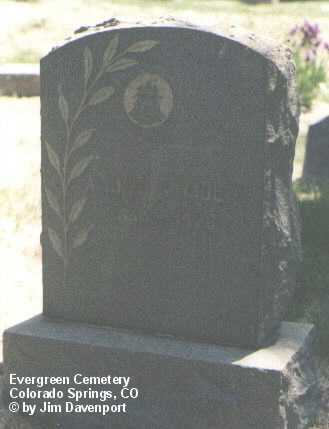 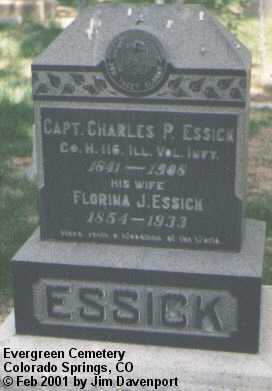 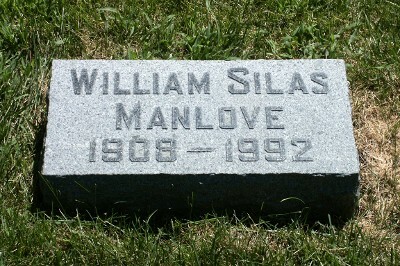 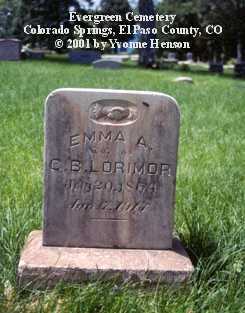 The cemetery is located at 1005 South Hancock Avenue Colorado Springs, CO; phone: 719-578-6646. 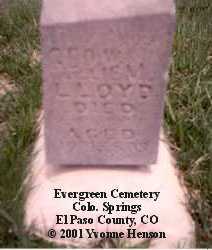 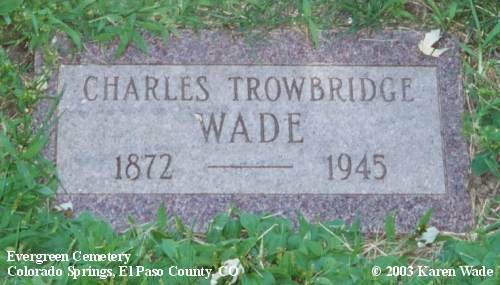 A transcription of all burials through 1972 can be found at COGenWeb Project El Paso County Archives. 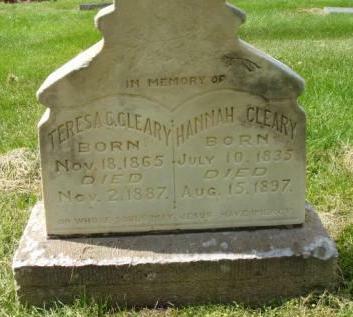 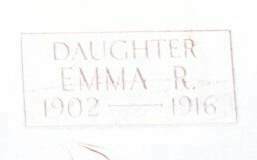 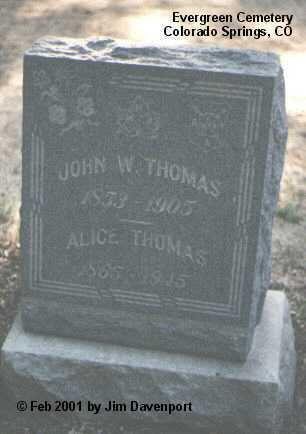 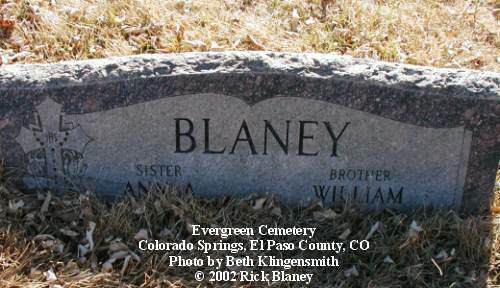 Anna & William were children of Henry & Mary Blaney. 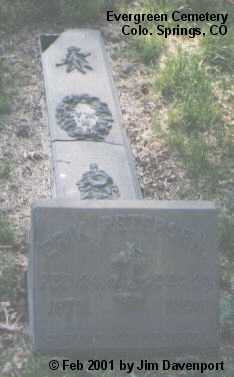 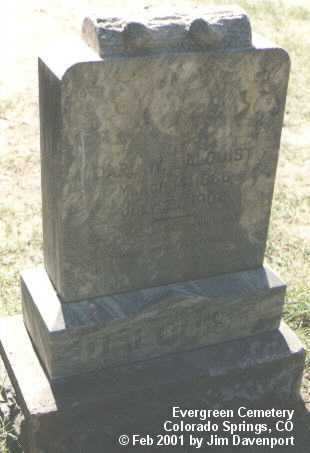 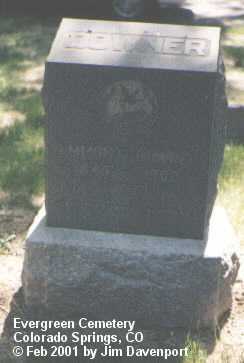 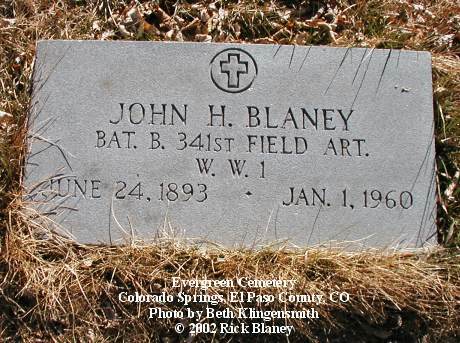 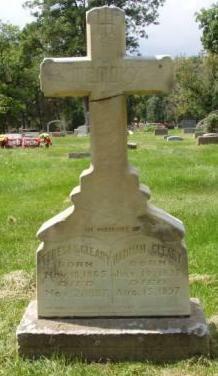 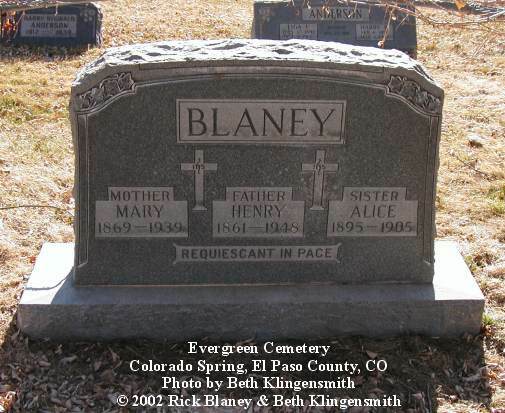 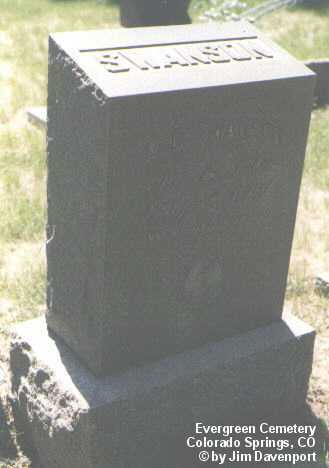 John Henry Blaney, a son of Henry & Mary Blaney, and brother to Alice who is buried with her mother and father. 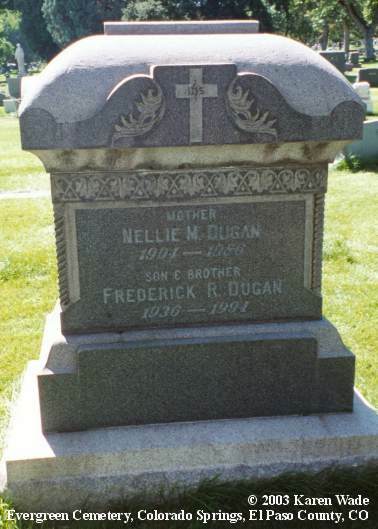 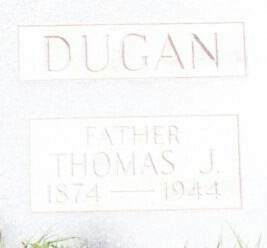 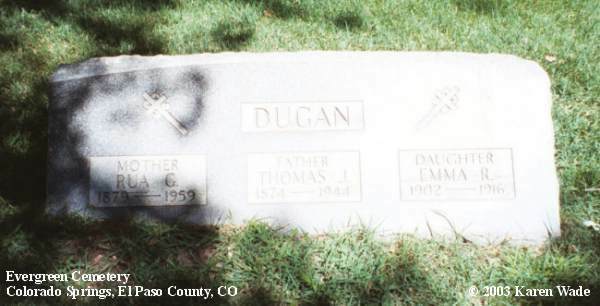 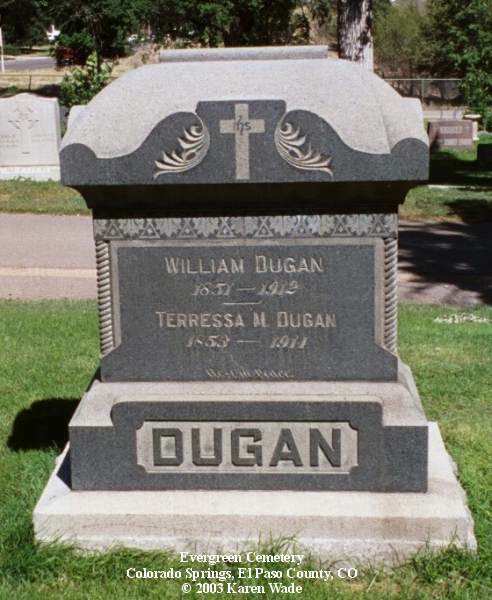 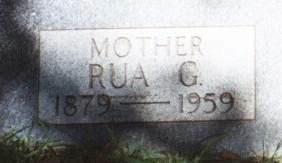 Rua Grace (Whitten) Dugan was born 22 Feb 1879 at Rome, KS; died 24 Jun 1959 at Colorado Springs. 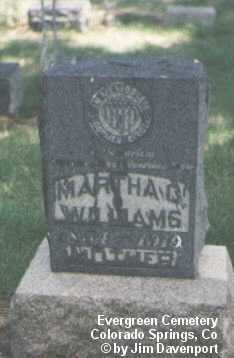 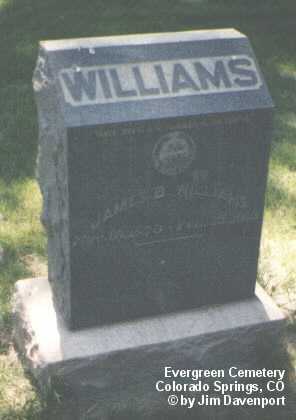 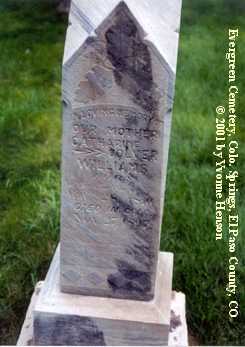 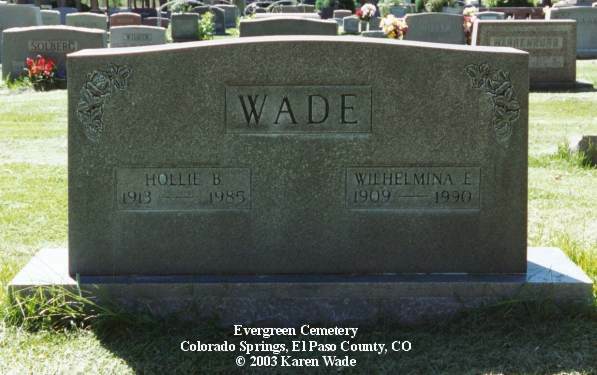 They share this stone with Hollie Benton & Wilhelmina (Sullivan) Wade (see below).